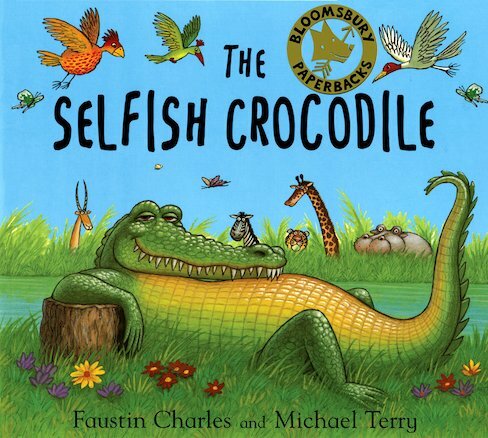 It’s silly to be selfish, as this mean croc learns when he gets sick. Be smart. Be nice. 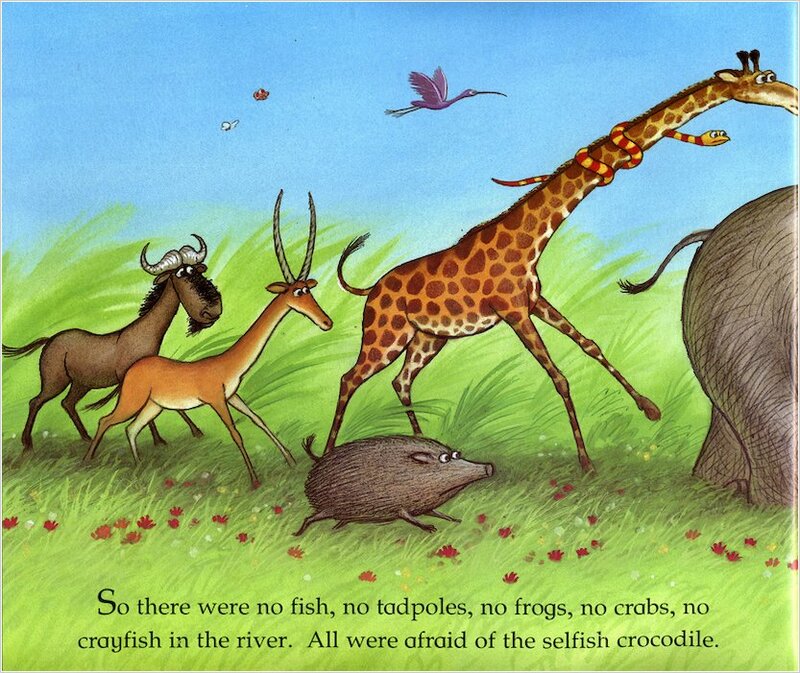 The Selfish Crocodile thinks he owns the river. He’s such a bully he scares all the jungle animals away. 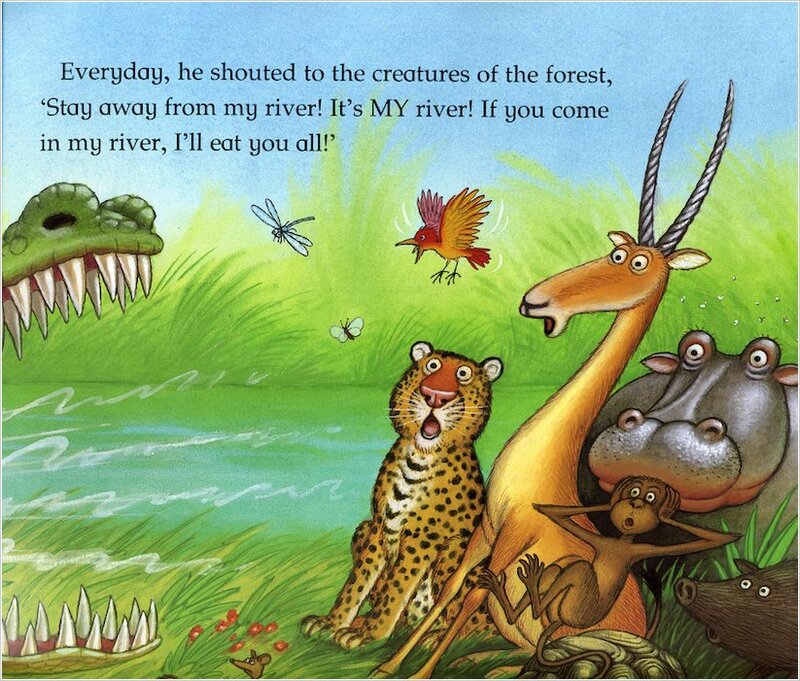 But one day, the frightened critters near the waterhole are woken by a groaning crocodile with toothache. 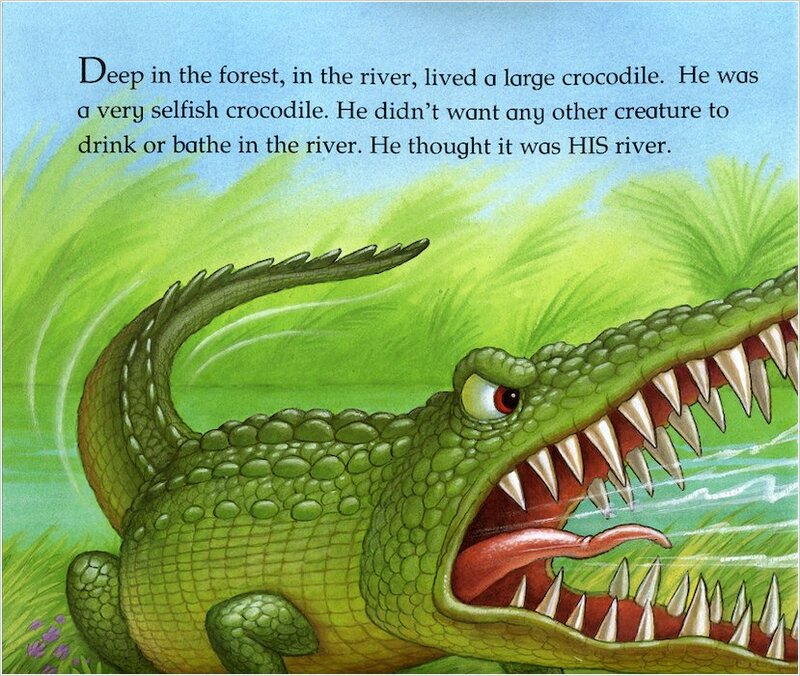 Now the Selfish Crocodile needs a friend to look at his huge teeth. But who’ll dare to help? 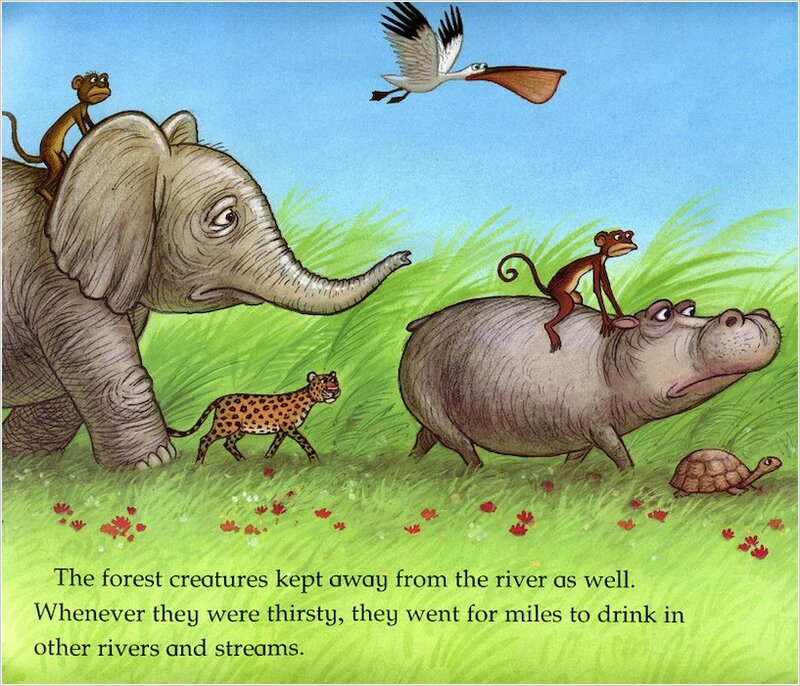 A funny lesson about manners wrapped up in bright, bold jungle colours. It would be selfish to keep this book to ourselves! it was okay but it is boring i have read more better things than that.